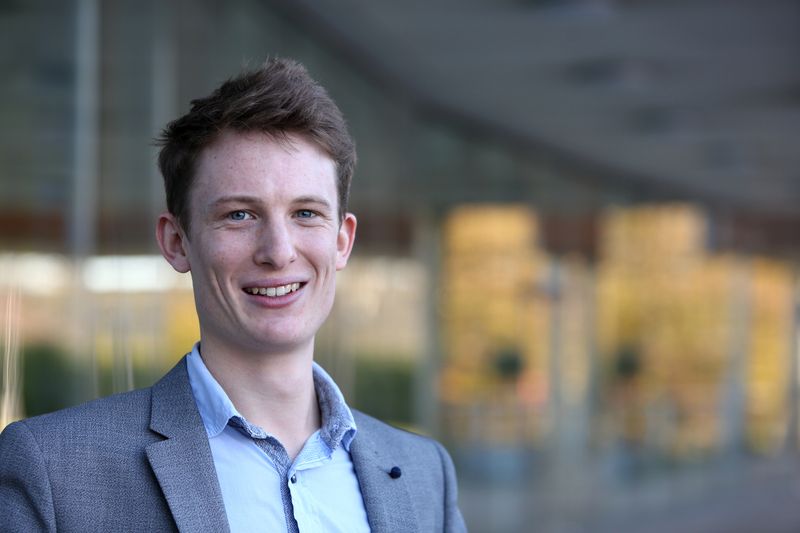 I joined the University of Nottingham’s Institute for Aerospace Technology in 2016 as part of the Marie Sklodowska Curie PhD programme ‘INNOVATIVE’ to undertake a PhD, the title of which is: The application of advanced and integrated health monitoring systems to complex, composite systems for aerospace for enhanced life cycle and operational capability. I always enjoyed an international work environment. During my Master Degree, I spent time in Germany and the USA, I love being surrounded by international people and discovering new cultures. Nottingham is the perfect city as it is very cosmopolitan and the INNOVATIVE team is composed of students from all over the world with many different backgrounds. Moreover, the INNOVATIVE programme offers a lot of challenges, it has a strong ambition, and I knew this would help develop my career in the aerospace industry, which is my goal for the future. Recently, it was all over the news that 2017 was the safest year in aviation history (BBC, 2018). 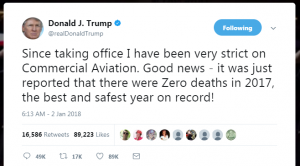 Aviation safety is not a subject that has ever been taken lightly by the different aviation authorities around the world like the FAA (Federal Aviation Administration) in the US, the EASA (European Aviation Safety Agency) in Europe or the CAAC (Civil Aviation Administration of China) in China etc. As a result, commercial aviation has for long time been the safest way for traveling as shown in many studies like the one provided in 2013 by economist Ian Savage (Savage, 2013) for example (see Figure 1). To comply with the regulations, and for the sake of its customers, the aerospace industry has always tried to make aircrafts as safe and reliable as possible. The list of aviation safety hazards is quite long, it goes from engine failure to pilot fatigue. In this article, I will focus only on hazards that affect the structural integrity of the aircraft, such as ground low-velocity impact (e.g. a dropped tool during maintenance procedure), high-velocity impact (e.g. bird strike) etc. Structural Health Monitoring is one of the existing methods to detect these damages. Structural Health Monitoring (SHM) is the process of implementing a damage identification strategy (i.e. location, type, size) for engineering structures such as an aircraft or a bridge for example. This process involves the inspection of a structure over time in an automated (continuous or periodically) way. SHM is associated with online and global damage identification, in contrast with classical NDT (Non Destructive Testing) which is often performed offline and locally. This is done thanks to the integration of sensor networks. There are extensive sensor types used for this application such as fibre optic sensors, piezoelectric sensors or resistance strain gages etc. 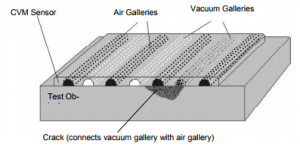 Less conventional methods have also been developed such as the Comparative Vacuum Monitoring (CVM) method which measure the differential pressure between fine galleries containing alternatively a low vacuum air and an air at atmosphere (see Figure 2). If a crack occurs in the structure, two or more galleries will be connected and the pressure will be an average value, indicating the defect (Speckmann and Henrich, 2004). The difference between SHM and NDE is that one is a continuous, global and on-line detection method, while the other is occasional, local and off-line. It appears clearly that SHM has many advantages over NDT. On top of increasing the reliability and the online safety of the passenger, it also saves on cost. Currently an aircraft without an integrated SHM system spend 27% of its lifetime ‘on the ground’ for maintenance (using NDT). Integrating SHM would considerably reduce its ‘on the ground’ maintenance time and thus reduce the cost of operation. I have made clear in the last paragraphs why SHM is such a strategic concern in today’s research. But that’s not all! SHM has been an issue for the past decades for integration on aircraft made of traditional materials such as Aluminium alloys for example, but in most cases NDT was good enough to ensure the reliability of the aircraft. 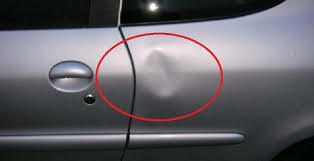 You may have noticed how obvious it is to see it when you have damage on your car door (see Figure 3), well it is quite the same when the aircraft is made of metallic materials. However, metallic materials are gradually being replaced by composite materials (see Figure 4), in which damage is in most cases invisible. Also, since composites are relatively new, safety concerns arise as development is still at the beginning. These are two more reasons why SHM is of big interest. 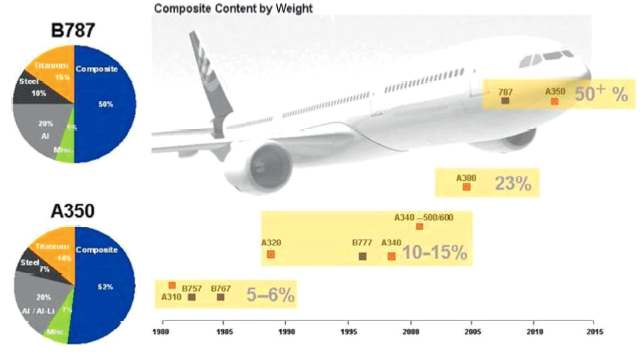 You may ask ‘why are composite materials taking over?’ Well the explanation is simple. Composites are really light materials when compared to traditional aerospace materials, and it is well known that weight is a very important factor in the aerospace industry as the lighter an aircraft is, the less fuel it will consume. They are also stronger and thus more reliable. Finally they can be specifically designed to have the desired performances for a given application. The traditional materials sus-mentioned are mostly alloys (such as Aluminium alloys), which have a fairly low weight, but are prone to corrosion and fatigues. This makes them very expensive from the operational point of view. One remaining question might be ‘why damage is not easily detected in composite structures?’Aerospace composite materials are made of high strength fibres embedded in a polymeric matrix (e.g. 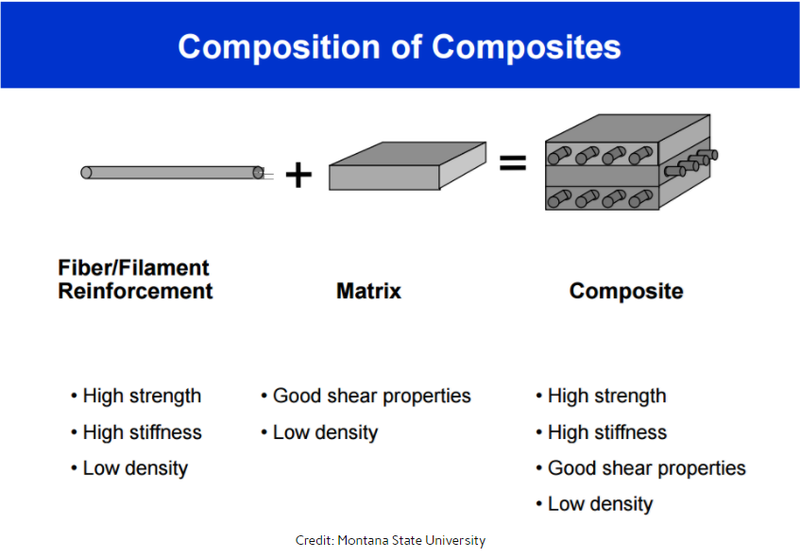 Glass-fibre-reinforced polymer (GFRP), carbon-fibre-reinforced polymer (CFRP), and Kevlar-fibre-reinforced polymer (KFRP) are among the most common aerospace composite materials) (see Figure 5). These multiphase materials exhibit strongly anisotropic properties and their failure modes are thus very complex. For example, a high energy impact (e.g. 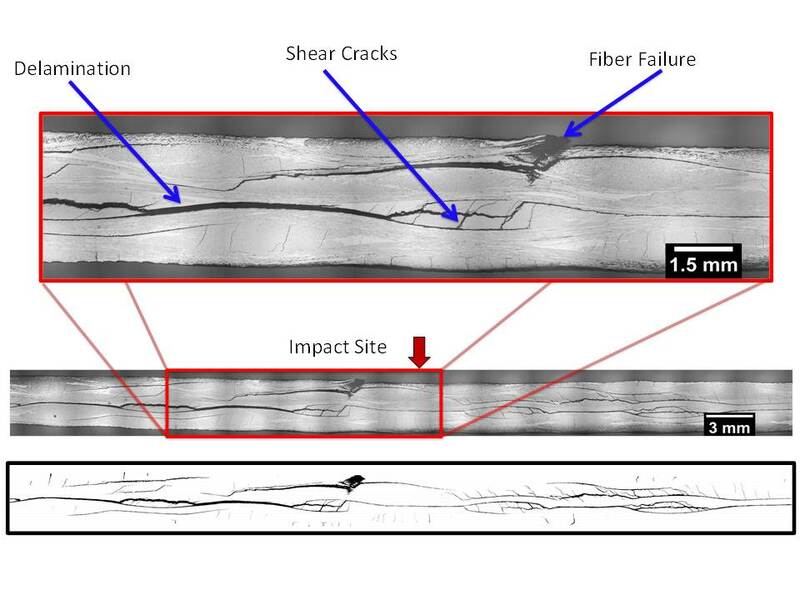 bird strikes, hail) might create a small total penetration in composites, while low or medium energy impact are prone to create matrix crack or delamination (Cai et al. ), which cannot be detected with a visual inspection as they are often internal (see Figure 6). For all those reasons, it is of the upmost importance that research in SHM continues. One day we can imagine that our aircrafts will need next to zero maintenance as they will automatically detect any damage and maybe self-repair, but that’s another subject. I want to conclude by tempering my statements. The different aviation authorities, and the scientific progress made in SHM are of course not the only factors for a safe flight. Human factors (e.g. well trained pilots etc.) for example are also very important to provide reliability (as well as the very strict policy of Donald J. Trump toward Commercial Aviation in the US (see Figure 7)). BBC, N. 2018. 2017 safest year for air travel as fatalities fall [Online]. BBC News. Available: http://www.bbc.co.uk/news/business-42538053 [Accessed]. CAI, J., QIU, L., YUAN, S., SHI, L., LIU, P. & LIANG, D. 2012. Structural Health Monitoring for Composite Materials. In: HU, N. (ed.) 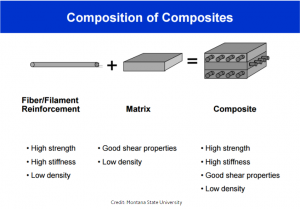 Composites and Their Applications. Rijeka: InTech. GIURGIUTIU, V. 2015. Structural Health Monitoring of Aerospace Composites, Academic Press. SAVAGE, I. 2013. 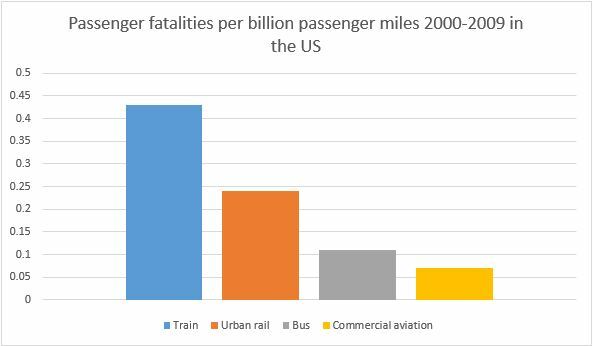 Comparing the fatality risks in United States transportation across modes and over time. Research in Transportation Economics, 43, 9-22. SPECKMANN, H. & HENRICH, R. Structural health monitoring (SHM)–overview on technologies under development. Proc. of the World Conference on NDT, Montreal-Canada, 2004.